I, as an American citizen, do not have any problem with the United States government granting a travel visa to the U.S. to individuals who are Cuban nationals and live, permanently, in a regime that presently does not have established diplomatic relations with the United States. Even if that country–without diplomatic relations with the U.S.–is Cuba. Such travel procedure is nothing unique, nor is it unusual to the manner in which governments conduct their business regarding foreign affairs. Fidel Castro himself has been granted a visa to travel to the United States, as well as many other foreign nationals. 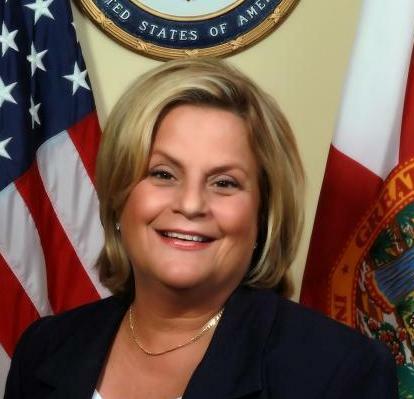 If Iliana Ross-Lethinen has made a career by first getting elected into Congress–and remaining there almost as much as Castro has been in power in Cuba–leveraging upon her alleged “Cuba” brand of foreign affairs, perhaps, in her position of leadership in the U.S. Congress–in my view–she has been remissed to travel to Cuba to bring about–admitedly–much needed change in Cuba. I strongly believe there is a part of the Cuban exile community, which has exploited the issue of Cuba, meanwhile, creating a tremendous void in true leadership to bring about necessary change. Notwithstanding, there are many very articulate, diligent and intelligent Cubans, far much better executively qualified and productive than Iliana Ross-Lethinen and others so called Cuban exile leaders whose rhetoric and experience doesn´t go beyond unproductive chanting in the Cuban exile media. It´s time for a change, particularly now that their audience highly skewed toward senior citizen demographic segment, once a middle-aged younger audience, has not only been greatly reduced over the course of the last ten years–as Castro in now himself mostly reduced to being out-of-play–but the world also during such same time has changed into more of a globalization mentality, where the new social media generation is more concerned about “individual welfare” than the word country. The latter word “country” brings about too many sacrifices to be made for the sake of country, a principle that is not attractive to the young generations unlike never before in world history. I believe President Obama should cancel and thereby the Cuban Trade Embargo under Executive Order, because, as far as I can see, we Cubans did not loose a country in 1959, we moved a part of the country of Cuba into South Florida, we displaced Americans here after we arrived and we have made it a burgeoining society–abeit all the bad media stuff that occassionally comes out–into one of the most vibrant communities in the world by proven socio-economic standards. So, ending the trade embargo will do a lot of good, never mind the chanting of Visas to Cuban nationals and other rhetoric designed for electoral votes fast dissappearing. This is like I have previously said a slap across the faces of all those who have suffered under the communist regime or the murderous Castro brothers.Why are our authorities letting Castro’s daughter to come visit the US?Our authorities should forbid the entrance of these characters in our Country. The Great question to answer is if the Castro regime collapses,are we going to help prosecute all those criminals within the Castro government or our government is going to turn the face the other way and ignore it. ?